I got to know Douglas, the young hawker that runs Fishball Story when he agreed to take part in the Ulitmate Hawker Fest 2014 curated by Maureen, Ian and me. Douglas who will be turning 24 years old this year, handmade the fishballs and fishcakes freshly at his stall starting as early as 4am. He even prepared the sambal chilli and pork lard at the stall all by himself. This is not an easy task. Who at his age will want to do it. Most of us will prefer to be in the comfort of an air conditioned office. 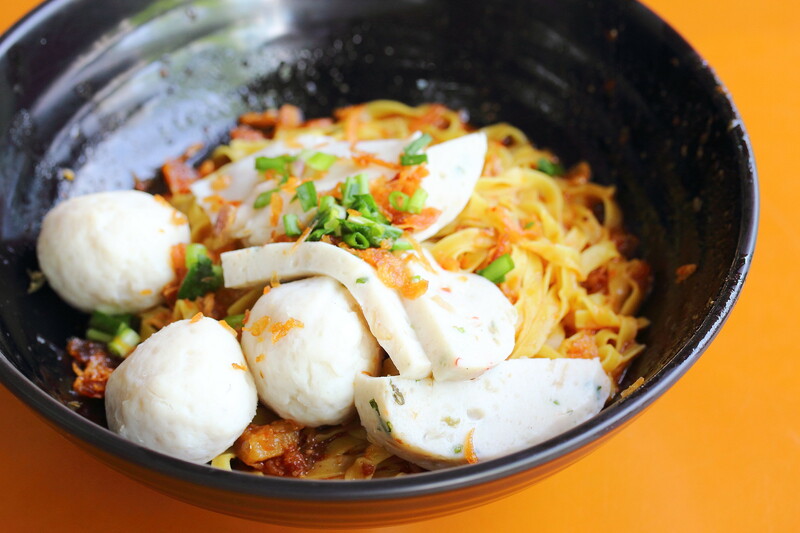 Douglas learnt the fishball recipe from his grandma using only pure yellow tail fish with no flour. The result is a firm texture with the natural sweetness of the fish. It may not be as bouncy compared to many other places but you are getting the real deal here. 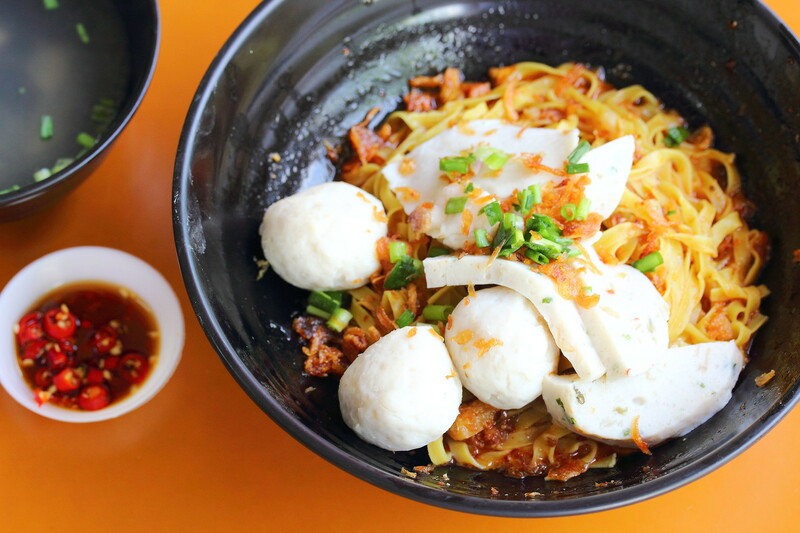 What makes this bowl of Fishball Noodle ($3.50) so delicious is not just all about the fishball. The sambal, shallots and pork lard all plays a part in making in it. Douglas has stroke the right formula allowing all the ingredients to come together in harmony, making a simple dish extraordinary yummy. Overall I have to admire Douglas hard work and dedication to provide the best quality in the fishball. 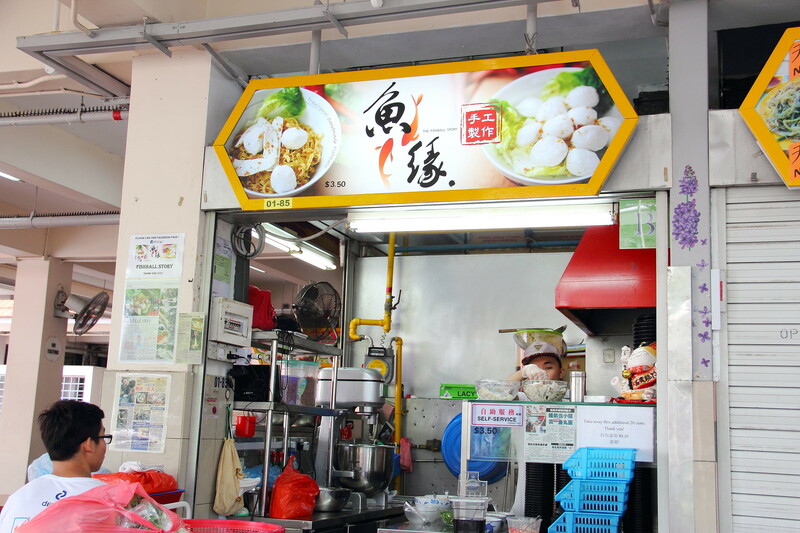 It is hard to find or even name such stalls nowadays with factory made fishball readily availability and even at a lower cost. 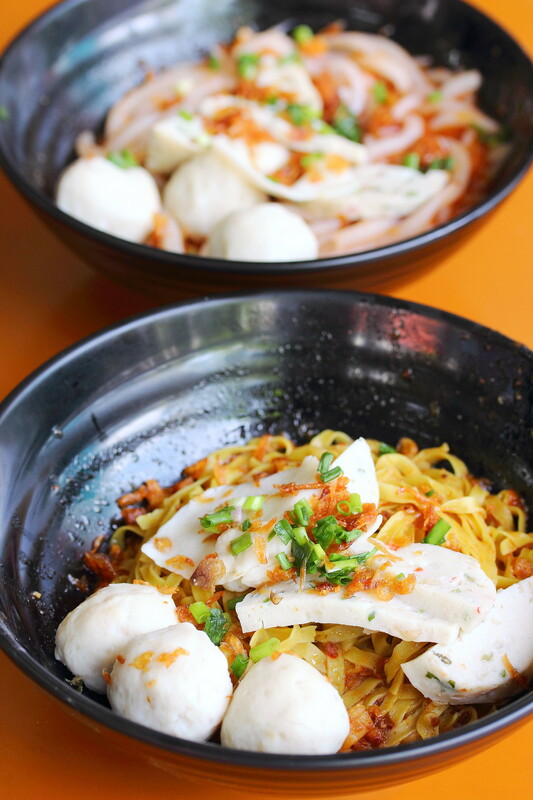 The fishball noodle at Fishball Story is definitely worthy for a visit and we have to give these young hawkers the due encouragement or we will slowly lose the hawker heritage in Singapore. Let me know your verdict when you tried it.